We love these hot messes. This kind of hairstyle looks messy, but is deliberate in its casual appearance. The products in this models hair gives it sheen and enhances the natural wave. I love this tousled look, but somehow it looks sharp and put together. A hairstyle like this paired with a suit is great juxtaposition--it shows you aren't stuffy. Wild and crazy hairstyles are to be expected on fashion runways. 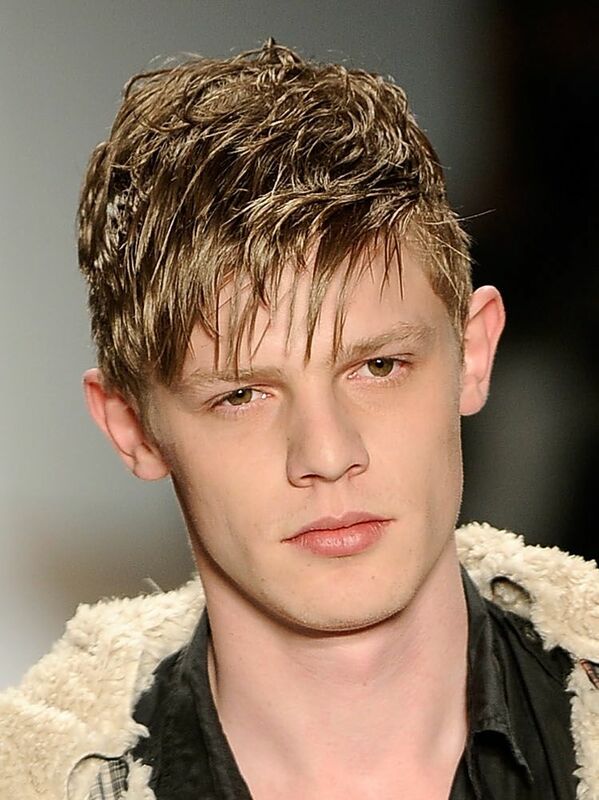 The uneven razor cut of the hairstyle gives it an slightly edgy youthful look. It could be made to look more edgy with styling wax or paste by breaking the hair up in different directions. It's easier to achieve a disheveled look with longer hair. The "wet look" is popular again on fashion runways.